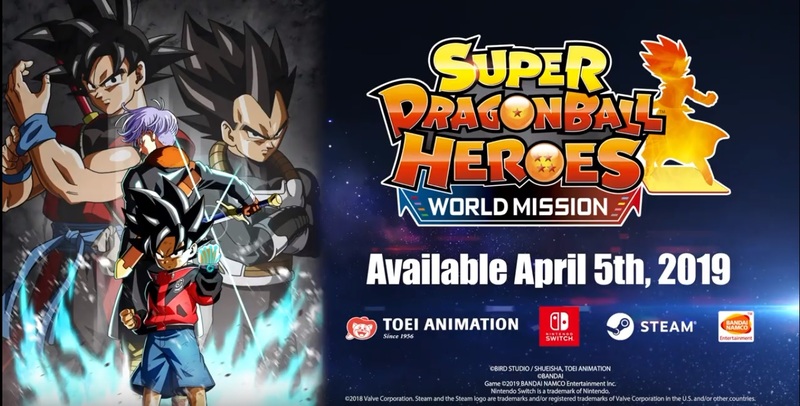 Bandai Namco has announced in their Dragon Ball Games Super Showcase that Super Dragonball Heroes: World Mission is coming to the west. If you don’t know what this game is, Super Dragonball Heroes: World Mission is a “super card battle adventure” where you “create a character and strategically play with characters from the Dragonball Universe”. The game will be releasing on the Nintendo Switch and Steam in North America and Europe on April 5th. Rough. I had hoped we would get info on Xenoverse/FighterZ. Would that mean something akin to the AC amiibo cards being available yo the Switch as well? I kinda doubt it. I assume all cards will just be unlockable ingame. Please! Find a way to make Jump Force run on Switch!!! they would probably have to rebuild the game from the ground up and knowing them they wont do it because it would be a waste of time, having Panic Button work their magic may run the game on the console but we dont know how much they would sacrifice for them to run it well. i kinda do want Jump Force on Switch as much as the next person but there are some games that aren’t worth it for this Switch, maybe on the supposed ‘Pro’ everyone and their mom keeps rumoring about. Finally, a real Dragonball game. Let’s just hope it’s not one of those games where you get characters at random.